Fulbright Scholar and New England Conservatory Graduate,Hope Easton continues to gain critical acclaim as one of the most respected and sought after cellists in the greater Los Angeles music community and well beyond. Her rigorous tour schedule has taken Hope across the globe: from Carnegie Hall, to the Lincoln & Kennedy Centers, as well as both the Gibson and Walt Disney Concert Halls as well as venues in England and Canada. Additionally, Hope has been seen performing on countless television programs and commercials which most recently have included Celebrity Re-Hab, American Idol, & The Tonight Show, performing with musical legends like Garth Brooks. She has recorded performed and toured with the likes of Al Stewart, Frank Ocean, Marco Antonio Solis, Nick Palance and Sheila Nicholls to name a few. 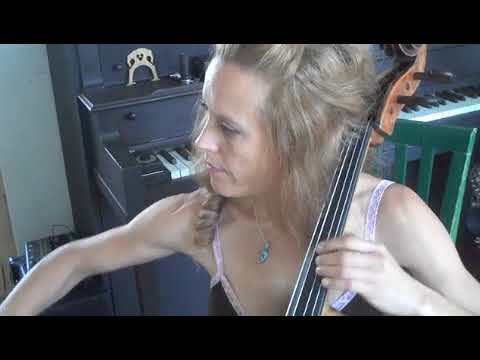 Hope also is a member of The LA Cello Quartet, a Positive Motions Foundation and Bella Electric Strings (LA), who perform all around the US playing electric instruments and rock favorites. Hope frequently performs for Wilshire Boulevard Temple with Soul Sounds. Hope also writes her own songs, performs and sings. She has 4 CDs to her credit which can be found on Cd Baby and itunes.